Eat your sunscreen? Now, before you trash your favorite sunscreen, we don’t suggest that you stop applying your SPF (This is extremely important. Looking for safe sunscreens, check out MADE SAFE's Guide), but we do mean you should eat to provide your body with the nutrients it needs to protect and repair itself from UV rays. Vitamin D: We all know that a little bit of sun exposure to let our bodies produce vitamin D is essential for good health. However, with the rise in use of sunscreens, the majority of Americans are deficient in vitamin D. This is a contributing factor to the recent increase in bone fractures (vitamin D is required for proper absorption of calcium). There are also certain cancers which are linked to vitamin D deficiency. More research is needed on sun exposure, sunscreens and vitamin D deficiency, but it appears that a small amount of time in the sun (about 15 minutes for fair skin) could have both positive effects on our immune systems and protective effects against certain types of cancer, including skin cancer, with the boost of vitamin D levels. Lycopene: Lycopene is from the carotene family and is an excellent free radical scavenger. A study done in 2001 found that consuming lycopene rich tomato paste resulted in a 40% lower sunburn reaction than the control group who only consumed olive oil. Lycopene is found in red foods such as tomatoes, watermelon and grapefruit. If you prefer spicy to sweet, Chili powder is also an excellent source of lycopene. Vitamin C: Vitamin C boosts the immune system to fight free radical damage. 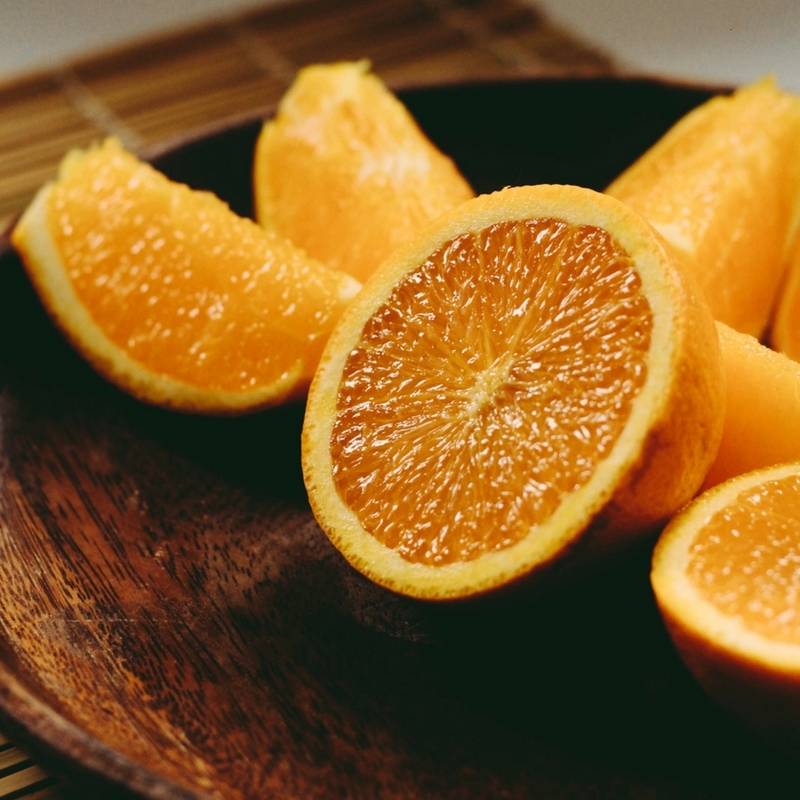 Vitamin C also aids in the body’s collagen production. Collagen is the protein that forms the basic structure of the skin. Breakdown of collagen will leave the skin saggy. Vitamin C is not stored in the body and must be consumed regularly. It is especially important to eat foods high in vitamin C after sun exposure since levels will most likely be depleted. Citrus fruits such as oranges, lemons and grapefruit are high in vitamin C. As well as papaya, bell peppers, broccoli, Brussel sprouts and strawberries. Beta-carotene: Beta-carotene is an anti-oxidant and another excellent free radical scavenger. Beta-carotene can help prevent burning and the damaging effect of the sun’s rays. Beta-carotene is a precursor to vitamin A. Vitamin A is essential for healthy skin, the immune system and eyes. Most importantly, beta-carotene in the body converts only what it needs into vitamin A. Vitamin A is toxic at excessive levels which can occur with overuse of supplements. Foods rich in beta-carotene are sweet potatoes, carrots, mangos, kale, spinach and broccoli. Lutein: Lutein is a phyto-nutrient probably most recognized for its benefits in eye health. Lutein protects the skin from sun damage, boosts skin hydration and elasticity. Lutein is sensitive to heat so it's best to consume raw foods high in lutein such as kale, spinach, carrots, orange peppers and broccoli. Polyphenols: I saved the best for last! 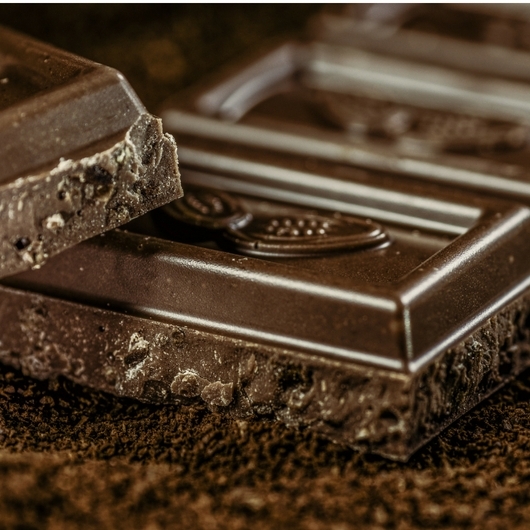 Any health benefit that includes eating dark chocolate is a win in my book! Polyphenols are powerful anti-oxidants and offer protection against radicals. Excellent sources of polyphenols include green tea, black tea and DARK CHOCOLATE (yum).